Irving Aaronson and His Commanders were the quintessential dance band of the 'Roaring '20s,' featuring impeccable musicians performing some of the decade's best-known songs with energy, enthusiasm, and clever arrangements laced with humor. 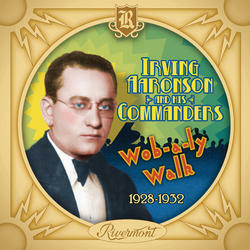 This disc, the second of four containing the band's complete recorded output, traces the band from 1928 to 1932. All of the recordings have been meticulously remastered from the best available sources, and the collection includes several extremely rare and previously-unissued selections. The package includes a handsome 32-page color booklet with dozens of photographs and in-depth commentary by Aaronson expert Randy Skretvedt. 20 tracks. 62 minutes. [3:19] Why Have You Forgotten Waikiki?